is a manufacturer of amplifiers for commercial & military markets. ASC designs and manufactures hybrid, surface mount flange, open carrier and connectorized amplifiers for low, medium and high power applications using Gallium Nitride, Gallium Arsenide and Silicon transistor technologies. ASC’s thick film designs operate in the frequency range of 300 kHz to 6 GHz. 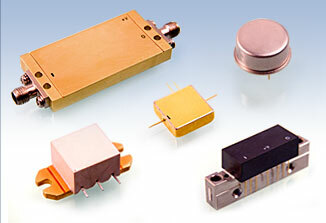 ASC offers thin film designs that operate up to 20GHz.